Exciting challenge grant for Hood River County Library supporters . . .
A private charitable foundation has made a $250,000 challenge grant to supporters of the Hood River County Library for donations to the Pat Hazlehurst Fund of the Gorge Community Foundation for all contributions made until June 30, 2019 up to $250,000. This challenge grant Is a unique opportunity to provide ongoing operating support to the Hood River County Library. The Library operates branches in Cascade Locks and Parkdale in addition to the main library in Hood River. The Friends of the Library provides financial support for annual library programming including Hood River County Reads. How to participate: By June 30, 2019, area residents who value the library and its services to Hood River County are encouraged to participate and double the impact of their contribution. To give by credit card, click the “donate” button and designate your gift to the the Pat Hazlehurst Fund. Or mail your check, payable to “Pat Hazlehurst Endowment” to the Gorge Community Foundation, PO Box 1711, Hood River, OR 97031; or bring your check to the Hood River Library circulation desk. Contributions are tax-deductible to the extent permitted by law. About Pat Hazlehurst (pictured above): Pat Hazlehurst, a retired librarian and enthusiastic supporter of the library, brought the concept of distributing a book throughout the community to the Friends of the Library. 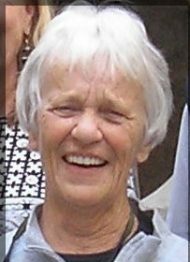 She developed the Hood River County Reads program in 2006 and chaired the program until her death in 2010. Friends and family started and continue to support an endowment fund in her name at the Gorge Community Foundation to provide ongoing operating support for the Hood River County Library and its programs. Support the Foundation with your donation. The Gorge Community Foundation is a 501(c)(3) nonprofit organization. All donations are 100% tax deductible. We are a member of the Council on Foundations.